DREAMS DO COME TRUE WITH THIS IMPOSSIBLE TO DUPLICATE AT THIS PRICE CUSTOM BUILT HOME IS LOCATED ON THE ALL-SPORTS CASS LAKE. WITH AN OVER 1 ACRE LOT THIS HOME BOASTS 79 FEET OF LAKE FRONTAGE FOR AN UNFORGETTABLE VIEW, COMPLETE WITH DOCK AND SANDY BEACH. THIS LUXURIOUS LIVING SPACE IS OVER 8,100 SQ. FT WITH GRANITE FLOORS, SOARING CEILINGS AND A GRAND 2 STORY FOYER. THE 2 STORY GREAT ROOM HAS 2 WAY FIREPLACE AND WALL OF WINDOWS. IN THE GOURMET KITCHEN YOU WILL FIND GRANITE COUNTER TOPS, SUB ZERO AND PREMIUM STAINLESS APPLIANCES. THE BREAKFAST NOOK OPENS VIA DOOR-WALL TO THE DECK. THE 1ST FL MASTER HAS LUXURIOUS MARBLE BATH WITH STEP UP JACUZZI AND 2 WIC'S. THE DUAL STAIRCASE LEADS TO THE UPPER LEVEL WITH A BRIDGE AND LOFT LEAD TO SPACIOUS BEDROOMS AND BATHS. 2 MASTERS AND FIN. WALKOUT WITH 2ND FULL KITCHEN, FAM ROOM, BEDROOM AND BATH. 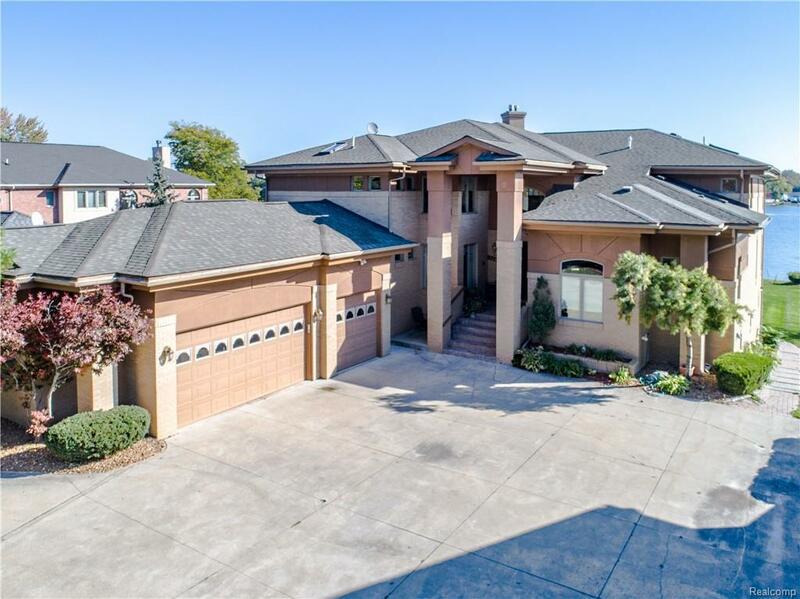 THE 3 CAR GARAGE, CIRCULAR DRIVE AND CUSTOM LAKESIDE PATIO ROUND OUT THIS DREAM HOME. HOME WARRANTY INCLUDED. WHY BUILD WHEN YOU CAN BUY A BARGAIN!! !